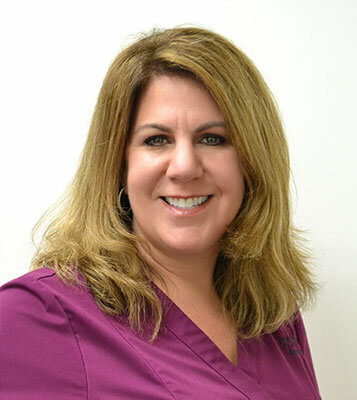 Amy has worked for over 25 years in the dental field. She attended Westbrook College in Portland, Maine for dental hygiene. She is very passionate about her career in dental assisting. She enjoys challenging herself with yearly continued education in advanced dental technology. Her favorite thing to do is spend time with her three sons. She loves to teach her children yoga and how to cook. In her free time she loves vacationing on the gulf coast, jet skiing, scuba diving, horseback riding, crazy waterslides and rollercoasters. Amy has eight chickens and a very cute Lionhead bunny.